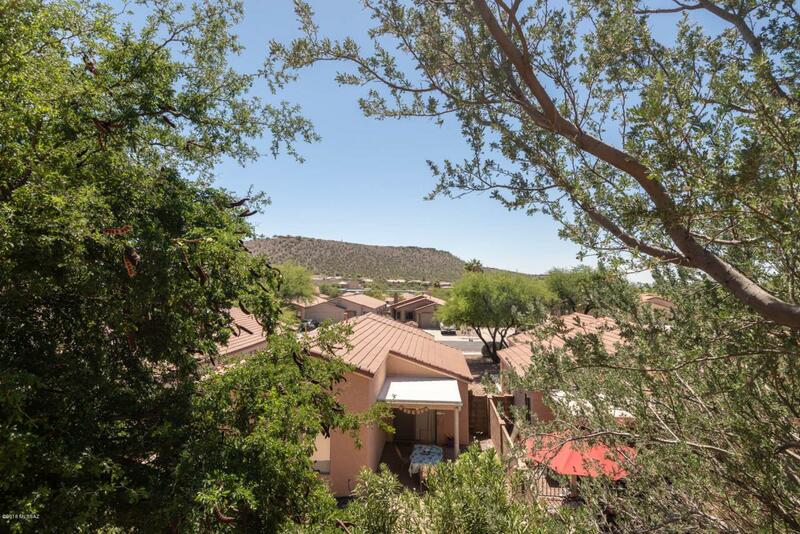 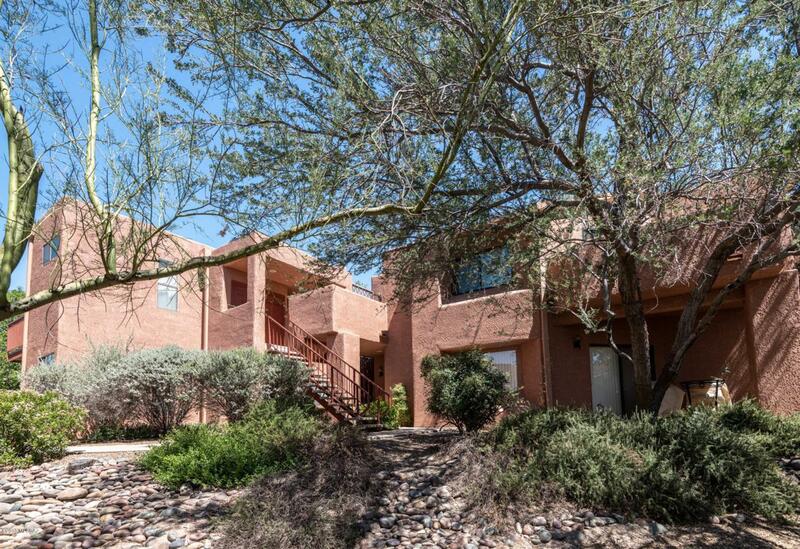 Private second floor condo in the gated Catalina Foothills community of Ventana Vista. 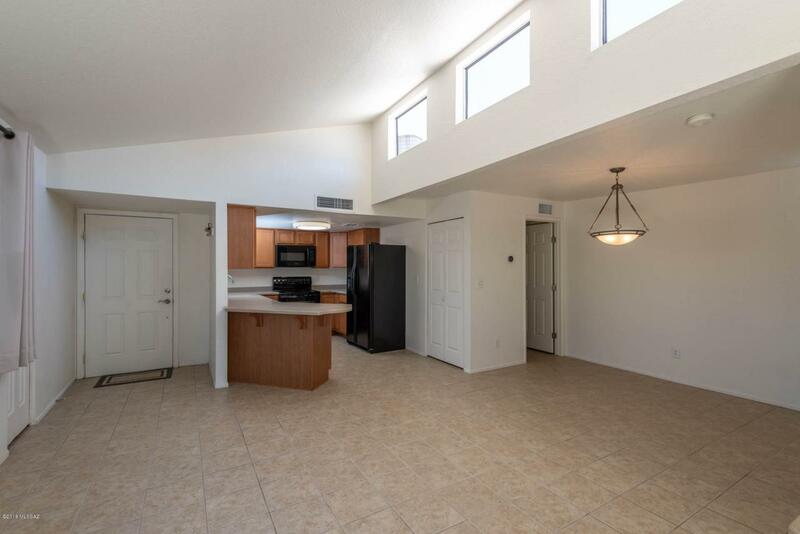 This secluded 2BR/1.25BA property is in one of the best locations within the community and features 2018 installed dual pane windows & sliding glass patio doors, city and mountain views, ceramic tile flooring in living areas and 2017 installed carpeting in bedrooms, Nest thermostat, high ceilings with an abundance of natural light, two balconies, open floor plan, wood burning fireplace, front medal screen door, kitchen with black appliances and corian counters, washer/dryer in unit, split bedroom layout separated by jack and jill bathroom and resort style HOA amenities. 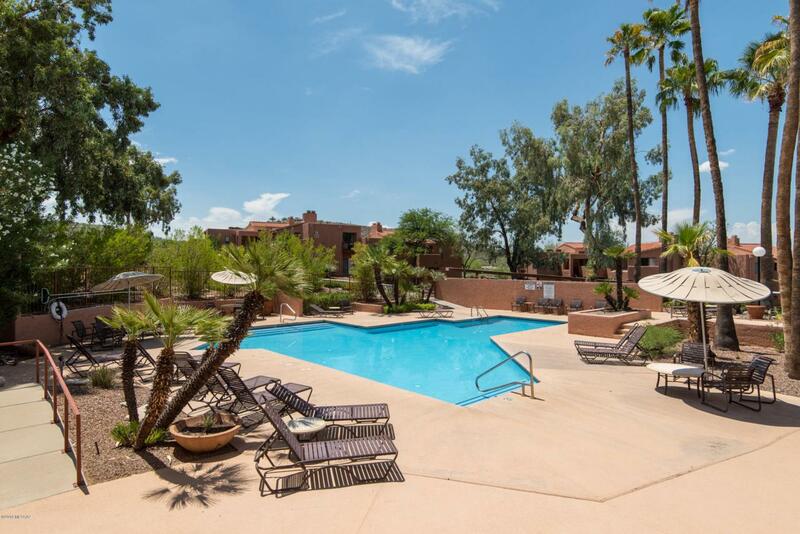 The Ventana Vista Condos features a heated pool & 2 spas, tennis / pickle ball court, enormous clubhouse, gym and near Sabino Canyon.